I want to deal with the case of the so called “non-citizens” in two European Baltic States: Estonia and Latvia. I refer to those ethnic minorities of Russian speakers, not necessarily belonging to the Russian ethnic group – in fact they include people of Belorussian and Ukrainian origins- which live in a very peculiar juridical situation, that represents an unicum in the international arena. In 1991, after the collapse of the Soviet Union, those sharing Russian origins and language, who inhabited the territory of the present Russian Federation, became automatically citizens of the new State, obtaining the Russian passport. The same process did not involve the Russians that inhabited the Baltic States. These people of Russian origin, often being second and third generation immigrants, were living in the Baltic Sea Region from the beginning of the massive Russian settlement in the area that began in 1940. After the fall of the Soviet Union those people became nor Russian citizens, nor Latvians, nor Estonians, but “non-citizens” (negraždane, in Russian language). This happened because they spoke neither Latvian nor Estonian. The knowledge of those languages, that replaced Russian as the national idioms of the new independent Baltic States (that during the Soviet period, as anybody knows, was the lingua franca of all the Soviet Union, and was understood in every Republic of the Union) were considered a fundamental condition to obtain the new citizenship and passport. After twenty years the non-citizens’ situation remains very peculiar. According to some jurists it differs from the general condition of “stateless”, which in most of the cases is characterized by an early deficit. A stateless is a person who has never benefitted of any rights from the State and that has had no duties or obligations with the State. For example, the Latvian legislation clearly recognizes the difference between the “non-citizens” and the “stateless” living in the territory of the State. The Russians, or Russian speakers, “non-citizens” are considered as permanent residents in Estonia and Latvia. On the one hand they gain recognition of their social rights and on the other hand they do not enjoy several political and civil rights. They are provided with a specific violet passport, marked with the word “nepilsoņi”, that in Latvian language means “non-citizens”. Nowadays in Estonia the “non-citizens” represent around 6.5% of the total population, almost 90.000 people. In Latvia the percentage of “non-citizens” is double, and in this country they are about the 13.5% or 280.000 people. Only in Riga, the capital city, the Russian “non-citizens” are the 20% of the residents. In Latvia the condition of these people is disciplined by the 1995 law “on the status of the former citizens of the Soviet Union who did not have Latvian or others citizenships”. From 1995 until today this law has been modified seven times. Russian minorities are subjected to several and inconsistent restrictions for being “non-citizens”. For instance, the “non-citizens” cannot exercise their right to vote, although they can formally belong to political parties. On this matter, while in Latvia the restriction is absolute, in Estonia “non-citizens” can exercise the right to vote only in the local elections. At the same time it is forbidden for “non-citizens” to work as office-bearers, to serve in the national army and to be part of several professional orders. They are also subject to limitations in buying houses and performing economic activities. 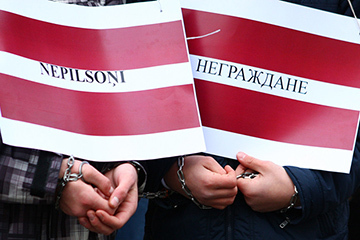 In 2013 Latvian Human Rights Committee quantified 80 tangible discriminations concerning differences between citizens and “non-citizens” in Latvia. The exam for obtaining the citizenship in Estonia and Latvia envisage an oath of allegiance to the Latvian or Estonian State, the accomplishment of a difficult test of the local language and a high knowledge of the Constitution and the history of the country. Furthermore, the questions contained in those exams often contain negative judgments about the role and the influence that Russia has played in the Estonian and Latvian history. As a consequence, it is very difficult for second-generation Baltic Russians, who were born in the ‘60 and belong to poorly educated social classes, to stand the test for achieving citizenship. The main difficulty often concerns the study of the language. One of the proofs of the difficulty of solving the “non-citizens” issue is the ambivalent approach of the Baltic governments to the problem. On the one hand, they have certainly tried to promote tangible efforts to proceed to the naturalization of Russian minorities, for example by founding the language schools to permit Russian people to learn the language and therefore to pass the exams. On the other hand, governments would complete the concrete procedures by showing mistrust at the same time. This ambivalent approach was often exposed through frequent reports issued by the Russian Federation and other international institutions. In 2006 the European Committee against Racism and Intolerance (ECRI) intervened by drafting a report in which affirmed that the conditions for the achievement of the Estonian citizenship are extremely difficult. The same opinion was expressed by the UN Committee on the Elimination of Racial Discrimination. 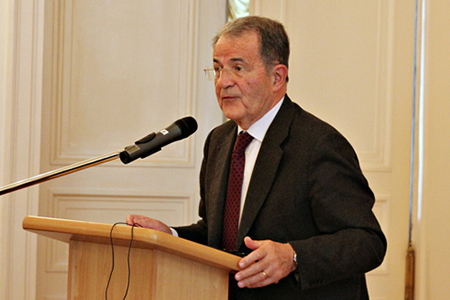 In 2007, during his visit in Estonia, René Van Der Linden, President of the Council of Europe Parliamentary Assembly, expressed complaints for the extreme delay in implementing the procedures of naturalization for the “non-citizens” in Estonia. It is not difficult to see in this ambivalent attitude of the Estonian and Latvian governments toward the “non-citizens” a reflection of the political diffidence toward Russia. In some measure “non-citizens” are perceived by these governments as a potential fifth column of the Russian Federation in the Baltic Sea Region. The consequences of a massive naturalization are seen by the governments as a possible opening to Russian interferences. However this is just an emotional perception that does not find confirmation in reality. During the past decades Russian minorities in the Baltic Sea Region have experienced a cultural process that the ethnologists and the sociologists have noticed also in others contexts. For example, they have developed the formation of a hybrid identity, in which the historic and linguistic identity is shaped on the inhabited territory. If on the one hand the Baltic Russians maintain their own Slavic specificity, on the other hand they did not perceive themselves as Russians. This is proved by the fact that only a small part of Russian minorities in the Baltic Region have chosen to go back to the Russian Federation. The “non-citizens” consider themselves as Latvian or Estonian citizens because they were born and grew up in these countries, and here they imagine the future for their children. This process is very similar to that which involved the Italo-Lybian population. This new Russian-Baltic identity is also reflected in the linguistic dimension: the Baltic Russians use two different words to indicate the various components of their society. For instance, in Latvia Russians uses the word latyši to indicate the native speakers and the word latviecy to identify those groups of people who live in Latvia although have different origins. Consequently, Russian minorities do not see themselves “Russians” but “Latvians of Russian origin”. This semantic duplicity is difficult to understand for Western Europeans, but it clearly expresses how Russian identity is well-established in these territories and aspires to a juridical recognition of its rights. “The Congress states that the content of such agreement contradicts international law and current best practices for bilateral negotiations for territorial disputes between countries. […]The Congress condemns the signature of this agreement and considers the document illegal since the moment it has been ratified. Moreover, the Congress argues that the acquisition of awareness concerning the complexity and the ambivalence of the historic al past represents an integral part of the perestroika process, which provides each people of the Soviet Union with free and equal development .”(End quote). I strongly think this assessment, that was pronounced before the demise of the Soviet Union, shows the Russian sentiment that survives nowadays, when Latvia and Estonia are already independent. The perspective summarized in this assessment is twofold: the first aspect is the historic self-criticism, with whom the Congress clearly recognized the violent and imperialistic nature of the Soviet invasion of the Baltic Sea Region in 1940. The second aspect is the acknowledgement of the Russian role in defeating Nazism in the following years, as the main architect of the victory on the Axis Powers. This last perception is also very realistic, especially if we consider that among the 60 millions of deaths of the Second World War the absolute majority consisted of Soviet citizens. 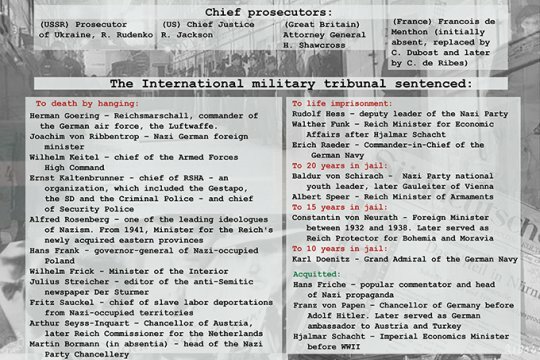 In the Baltic point of view, this ambivalence between Russian first “invaders” and then “liberators” is unified in a unique historical memory that sees the Russians as occupants tout-court, referred both to the 1940 and 1944-1945 occupations against Nazi Germany. Some events of the last few years have shown this sentiment, particularly the removal of the Soviet military monument from the Tionismagi park in Tallin and the revaluation of some historical figures that widely cooperated with National Socialism during the Nazi occupation. Historically speaking we could affirm that the situation of Russian minorities in the Baltic Sea Region fits the wider context of the historical memory of Europe. This memory has not been shared among the European public opinion and constitutes perhaps one of the reasons of the European division. This is noticeable in the different perceptions of the past that characterized the Eastern and Western parts of our continent. In Western Europe the re-elaborated version of the history of the XXI century has searched a source of legitimacy especially in Antifascism or rather on the victory over Fascism as a myth for building a new appeased Europe. Until the fall of the Berlin Wall this legitimation individuated in the Communist ideology one of the components of that new Antifascist conscience. This happened not only thanks to the effective contribution of the Soviet Union in the War, but also thanks to the Italian and French Communist parties that affirmed their ideology in these countries. In the Eastern European countries and in the Baltic countries, Antifascism never had such a function. On the contrary, the governments and political groups identified as «collaborationists» by Western or Soviet historians are often remembered in these countries as patriotic because of their struggle against the Soviet Union. Even if difficult in the short-term, it is desirable that a more objective historical analysis could lead to the common awareness that all of Europe is exit-defeated from the Second World War. Such a defeat that has not only been a human defeat, considering the impressive number of military and civilian victims, who lost their lives on the battlefields and in the lagers, but most importantly a demise for Europe, which was divided by the Second World War. That division has led to the strengthening of external powers outside Europe and to the weakening of Europe itself in the global context. The different ideologies, both totalitarian and liberal democratic, have represented the corollary in the process of transition to modernity. These ideologies, by clashing with the multiethnic tradition of the great European empires of the past, as the Holy Roman or the Austro-Hungarian Empires, have produced and masked the fratricidal nationalism under the lens of the ideological conflict. For this reason, the research for a model of peaceful coexistence and the protection of minorities in the XXI century cannot disregard the sources of common European civilization. Such civilization is both particular and universal, as well as dwells on the breath of the Christian culture which includes Russia. This country embodies the Eastern part of that breath as the legitimate heir of the Byzantine world. 526: 30 seconds to mars. “Non-Citizens”. Russian Ethnics Minorities in the Baltic Sea Region30 June 2014: “Non-Citizens”. Russian Ethnics Minorities in the Baltic Sea Region! лучшие комедии. “Non-Citizens”. Russian Ethnics Minorities in the Baltic Sea Region.